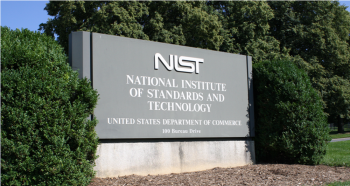 "We're pleased that our focus on new businesses has once again been successful," said Phillip Singerman, NIST's associate director of Innovation and Industry Services. "We received many more quality proposals than we could fund." ATC-NY will design and develop the Automated Security Content Automation Protocol (SCAP) Tool Validator (ASTV) for use with the SCAP Public Validation Test Suite and others. By running multiple test cases concurrently in a distributed or cloud-based ASTV installation, thorough validation of SCAP tools will be dramatically faster than currently possible. SourceGener8 proposes to fabricate a prototype Bragg grating based on an innovative fabrication method. The project goal is to demonstrate significant narrowing of the Spontaneous Parametric Down conversion spectrum, which will enable new fundamental quantum computation research. High Precision Devices plans to develop and market a commercially viable 25kW flowing water optical power meter (FWOPM) for industrial, research and government applications. The effort will reduce costs and use best practices to increase manufacturability, exploit economies of scale and develop suitable alternatives for several time-intensive assembly and fabrication steps. Nimbis Services will provide an open workflow environment that supports the sequential execution of third-party apps using networked information-based modeling and data analytic technologies to integrate manufacturing intelligence across an entire manufacturing ecosystem. The result will optimize plant operation by providing management alternatives in the right context, at the right time and to the right user. Polaris Sensor Technologies will design a device that integrates the established polarimetric architectures of division of aperture, focal plane and time to yield a multiplexed data collection method that simultaneously characterizes samples across all relevant dimensions. This approach, in conjunction with proposed dedicated data processing hardware, promises to open up the technique to additional applications such as thin-film process control. The proposed structural studies are of great value in developing a family of hybrid controlled pore glass (CPG) products that could dramatically reduce the manufacturing costs of several important classes of advanced pharmaceuticals and fine chemicals. The novel detection system proposed will use a digital micromirror device for precise selection of any combination of small angular portions over a large area of the diffraction plane and will easily transition between the production of bright field and dark field images and transmission diffraction patterns. SynTouch will develop measures of robotic grasper dexterity and use them to evaluate new tactile sensory technology with the older tactile sensors of the Schunk Dexterous Hand. The biomimetic nature of the BioTac sensor and its biologically inspired reflexive behaviors will lead to a new level of dexterity, enabling advanced applications in industrial automation and assembly. X-wave Innovations (XII) proposes a high-sensitivity, high-accuracy, low-cost, surface-acoustic-wave based microscale thermogravimetric analyzer (SAW-µ-TGA) for nanoparticles. The proposed approach is based on XII-developed surface acoustic wave sensor technology, which can simultaneously provide accurate temperature and mass change measurements at elevated temperatures and in real time. Fulcrum Biometrics will develop a new wireless multi-modal biometric acquisition system that will deliver biometrics information securely over standard Web services. The objective is to produce a hardware design and software package ready for mass production. Intact Solutions will design and implement a query-based approach to interoperable modeling and simulation of composite material structures. With use-case scenarios for modeling and simulation of as-manufactured material composite structures, the company will develop commercial strength software that demonstrates the approach on a current challenge faced by U.S. manufacturers. PaneraTech, under the NIST SBIR Phase I program, demonstrated feasibility of an Inline Material Electrical Characterization Sensor (IMECS) for non-contact evaluation of nanofiber films during manufacturing. Under the Phase II program, PaneraTech will build a fully functional prototype, which will be ready for transitioning to market. STAR Cryoelectronics will fabricate improved transition-edge sensor detectors with an energy resolution of 2 eV for 1.5 keV X-rays and integrate them into an X-ray spectrometer for chemical shift mapping. This will enhance significantly the power of X-ray spectroscopy as an analytical tool for a broad range of applications. Measurement and quality control for smooth engineering surfaces are becoming increasingly important in modern science and technology due to critical connections to engineering functions and high production costs. This project will produce an automated apparatus for manufacturing high-precision, random profile roughness standard reference material specimens for NIST to use in supporting U.S. manufacturing. The SBIR program was established by Congress in 1982 under the Small Business Innovation Development Act and has been extended through Sept. 30, 2017. For more information on NIST's SBIR program, visit http://www.nist.gov/tpo/sbir/index.cfm. The fiscal year 2014 solicitation is scheduled to be announced in November 2013.